To maintain my company’s new Google Certified Partner status, I had to take and pass the Search Advertising Fundamentals Exam. 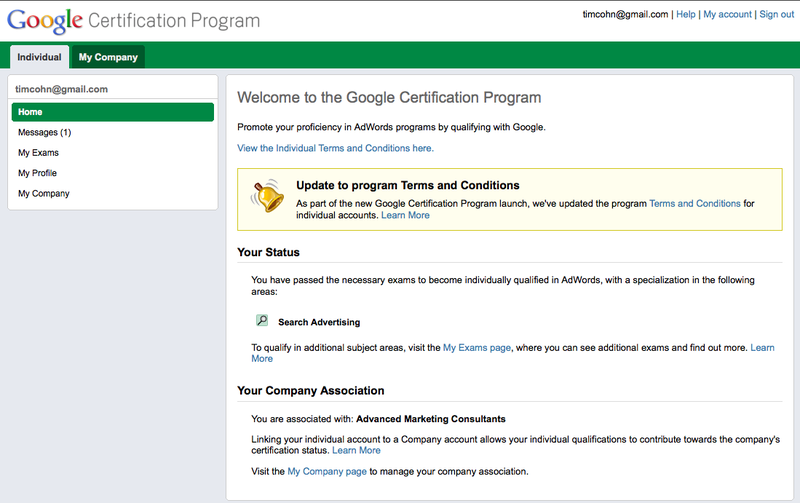 I am pleased to have passed the exam and have my Google Certification Program account updated accordingly. This entry was posted on October 25, 2010 at 7:52 pm and is filed under Google Certified Partner, Google Search Advertising Qualified Individual. You can follow any responses to this entry through the RSS 2.0 feed. You can leave a response, or trackback from your own site.